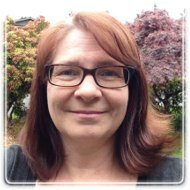 Surrey Therapist: Charlene Kostecki - Therapist V3W 1A6. LGBT Friendly and offer a safe environment for couples, individuals including teens. Send A Message To Charlene. Clients of all ages have benefited from Charlene’s 15 years counseling experience and successfully restored balance to their life. Charlene develops an easy rapport with her clients that promotes a safe and empowering environment. She encourages clients to believe that they have the power within themselves to achieve the life they want. Her unique ability to assist her clients to utilize the tools and insights gained during the therapy process result in solution-focused sessions that do not require long-term ongoing therapy. Charlene has honed her practical life skills as a wife, mother of two , and an active member of organizations. Contact Charlene to learn about her sensible approach to achieving positive results. She offers a free 30 minute initial consultation.